I started my blog at the beginning of the year, but I can honestly say that the real kick-start came after attending a blogging event. That first event was the ITWBN meet-up at the Radisson Blu Hotel in Galway. I was made to feel so welcome and was so inspired by fellow bloggers, speakers and the sparkling and lovely event organised by Saibh and Sinead. 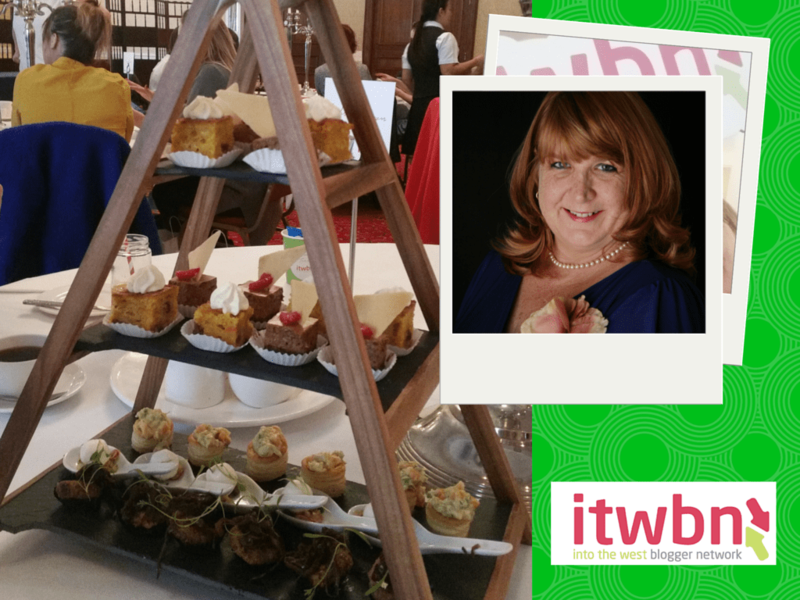 A few weeks ago I was delighted to once again attend an ITWBN event at the gracious Ardilaun Hotel. The event featured Joanne Larby, the Make-up Fairy. Now, I am not strictly a beauty blogger, but I do love my make-up and love being fabulous so I dressed up fancy (and had my photo taken by a friendly photographer), and headed out with a spring in my step. What a wonderful an inspiring event. It started with a warm welcome from my fellow bloggers, some which I knew already, and others who I had the pleasure of getting to know. We were treated to gorgeous fruit cocktails and fragrant Solaris tea before sitting down to a spread. The food was delicious. Our table devoured the yummy savouries and were delighted to receive an extra plate. Scones, and sweet goodies followed all washed down by tea. Catriona from Solaris Tea urged us to try some of the special teas and I found myself addicted to Chai Green Tea, so much so that I had to buy a box to take home! Joanne is glamorous in person, but is also very down to earth. As she shared her story, I found myself inspired and was quickly jotting down ideas for posts and for increasing my readership. Joanne built her blog from very little. The success of her blog is a result of lots of hard work and consistency. It wasn’t all about beauty, more about blogging and Joanne was very generous about sharing tips for taking your blog the step further. Question time was great, lots more scribbling from me. No blogging event from the fabulous ITWBN would be complete without a legendary goody bag. Snuggled up on my sofa after the event, the pencil came out again as I started planning even more blog posts based on the goodies! Blogging can be a very solitary hobby, but by attending events and joining groups you become part of a community. A community of colleagues that are there to inspire you. Thank you to Saibh and Sinead for your hard work!